Experience: Hello, my name's Alan! I'm a 14 year Appraiser with AOA appraisers, ISA & IRS Qualified, and 5 year Certified & Licensed Insurance Adjuster with 30+ Years Collecting & Dealing. 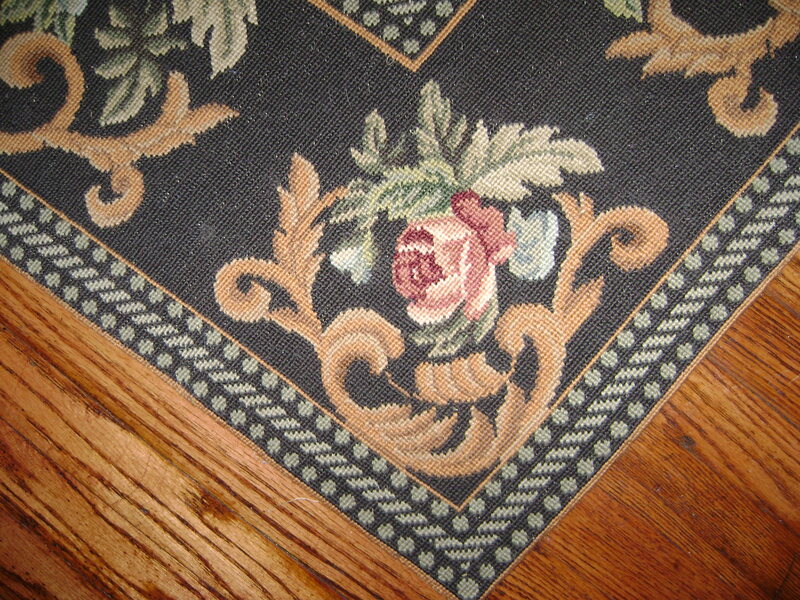 Thank you for your willingness to help me learn more about the beautiful handmade floral needlepoint rug that I purchased at a church rummage sale. It was all folded up when I bought it- and it wasn't until I got home, that I realized that I had indeed found a treasure. 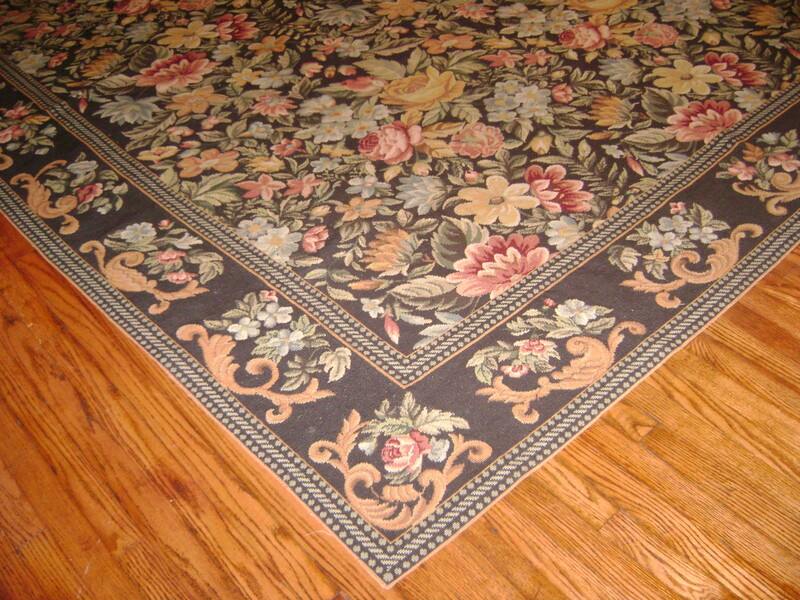 The rug is approximately 10 'by 7.' It is one piece (not stitched together) The colors are incredibly vibrant! There is no wear or tear. The back is not covered, but the edges are bound. 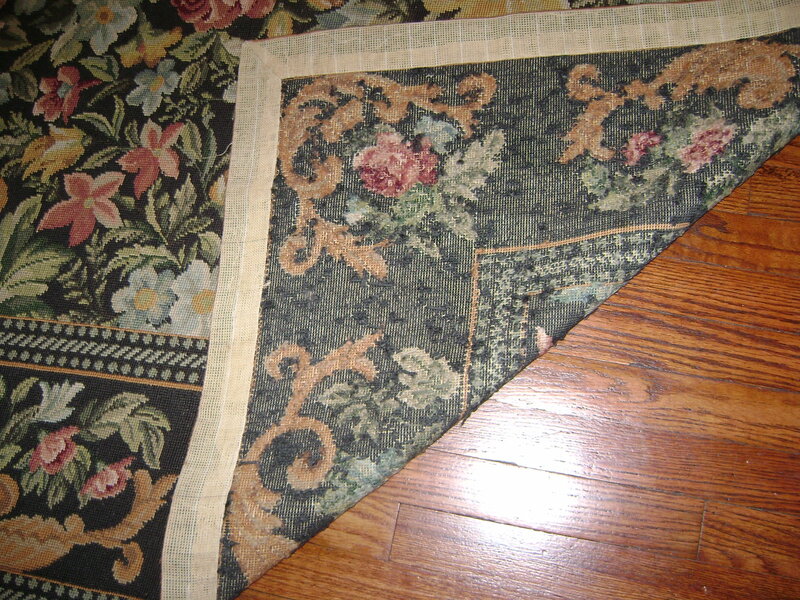 It looks like the creator carefully folded and hemmed the rug's canvas. (I'm sorry if I'm not describing this well. I don't know very much about needlepoint- so I don't have the vocabulary to describe this in detail) And yes, there is a 2 inch strip of canvas cloth around the border for traction. There are approximately 100 stitches in a square inch and the stitches look like ///////// It is an extremely precise and detailed rug. The shading on the flowers make them almost seem 3 dimentional. I can't begin to imagine how long it took to create this piece. The church ladies told me that it was over 100 years old. It isn't a tapestry for the wall. It is much too big. But that being said, it really looks like something you might see in the National Gallery of Art or Louvre. Because I am not allowed to share my email address or phone number, to share pictures, you have upload them directly to the chat box. To do this they have to be less than 5mb in size. To attach them here, click the paper clip icon and then browse to choose a GIF, PNG, or JPG. Upload and then follow the prompts to insert it. Once you push insert, wait for it to load. once you are able to see the actual image and not the word "graphic" , then submit the message. Thanks! Using my resources to look into your inquiry, I was able to find comparable sales that give your rug a current secondary market value of $900 - $1,200 USD at auction or in a private sale. the rug is beautiful you did good! The borders are done in what is called Acanthus Leaf Scroll the Greeks were the first to use Acanthus leafs in decorating it looks kind of like a celery stalk leaf. The flowers you have Blue posies, Peonies, yellow and red roses, very nice. This is called a Needle Point Rug I would say it dates to the early 1900's so yes it is 100 years old which makes it an antique and being done by hand it probably took over a year to make. The downside is that at auction they do not sell for much and your rug has a secondary market value between $900-$1200 USD. For insurance replacement purposes I would estimate it at $1500 USD. I hope you did good at the sale thanks for showing it to me it is a treasure take care of it. 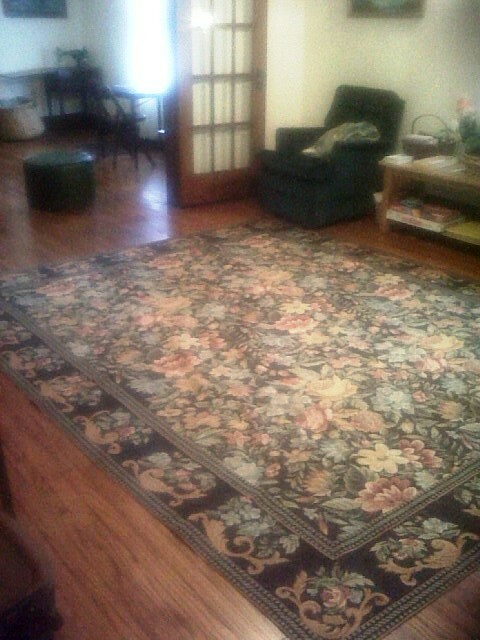 I have an antique rug, 60 x 70, approximately 70 years old.